We are all such creatures of habit that sometimes we miss what is right under our nose and I am no exception. I live and work a block and a half from Society Fair but never take the time to take the five minute walk there. This month I forced myself to make the trek to really check out the store and to talk with owners Dan and Nadine Brown. Both of these hard-working individuals are a delight to talk with. It was easy to see that Dan was preoccupied with the days business responsibilities while Nadine was very upbeat and laughs easily. She is a delight. I remembered when renowned chef Cahall Armstrong and is wife Michelle opened Society Fair six years ago. I went then to check it out but never really went back. Now I know what I was missing. 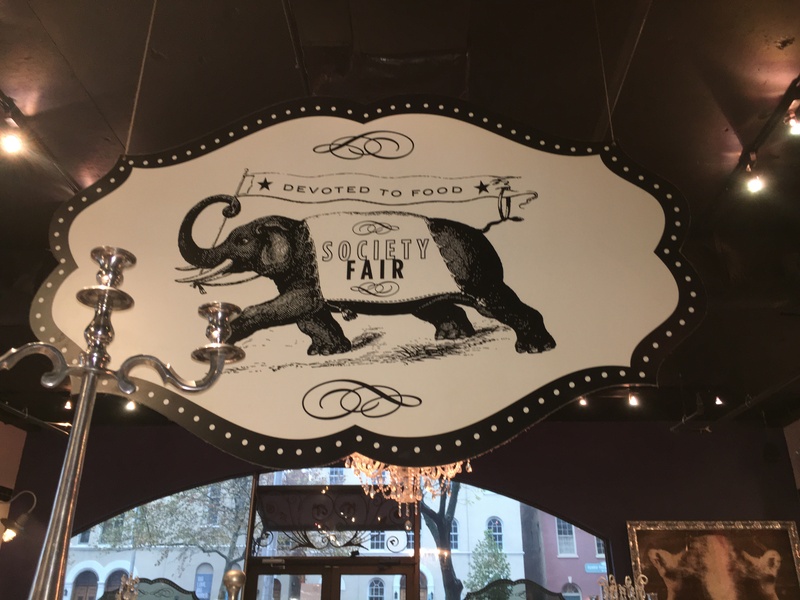 Society Fair is four businesses under one roof. It truly is “A boutique emporium delight, where everything we do is Devoted to Food” as their website states. As you walk in the front door, the market, the butcher and deli/lunch counter is straight back with the massive bakery area in the far back of the store. There are high tops and low tops for seating in this area as well. The restaurant and bar sit off to the left with the wine room on the right. At first it is a bit overwhelming with how many items they have, but after a few minutes of looking around and asking questions you begin to understand that all of this is done for you. The market opens early so you can grab one of their delicious breakfast sandwiches to go or enjoy it on premise with your morning coffee. Lunch can also be on the go or eat in with made to order gourmet sandwiches. Some of their featured products are their pork and mustard green sausage. The sausage is a self-contained meal that needs little more than a hot cast-iron skillet, a bun, and a smear of mustard. For your evening cocktail at home be sure to pick up Thrasher’s Artisan Cocktail Mix. Beyond the walk in, climate-controlled wine cellar, is the restaurant or The Bistro. “Where French parlor meets Vaudeville” the Bistro is stylish, whimsical and offers the luxury of a display kitchen where many of their hand-crafted libations and gourmet delights are created. The menu reflects the season with an emphasis on locally-sourced ingredients with their food being both delicious and comforting. 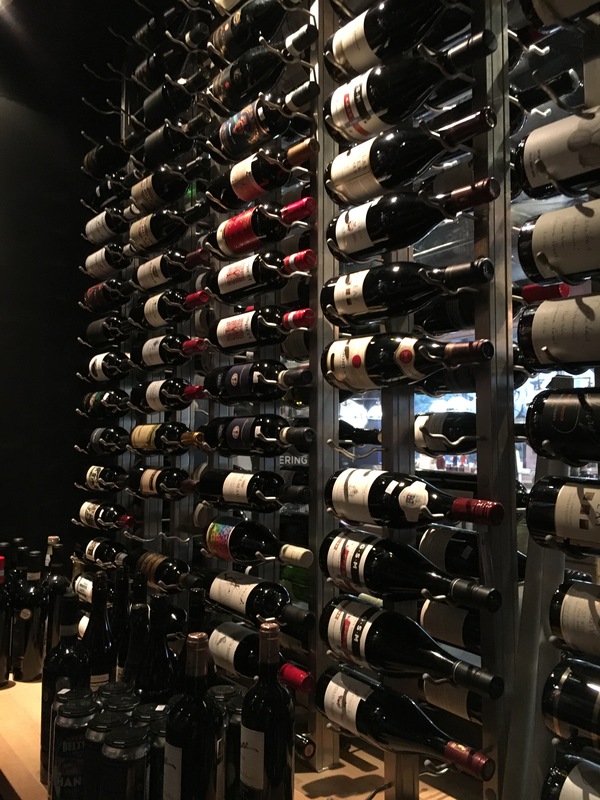 Their wine and cheese list are curated by both their knowledgeable chef, sommelier and fromagier. 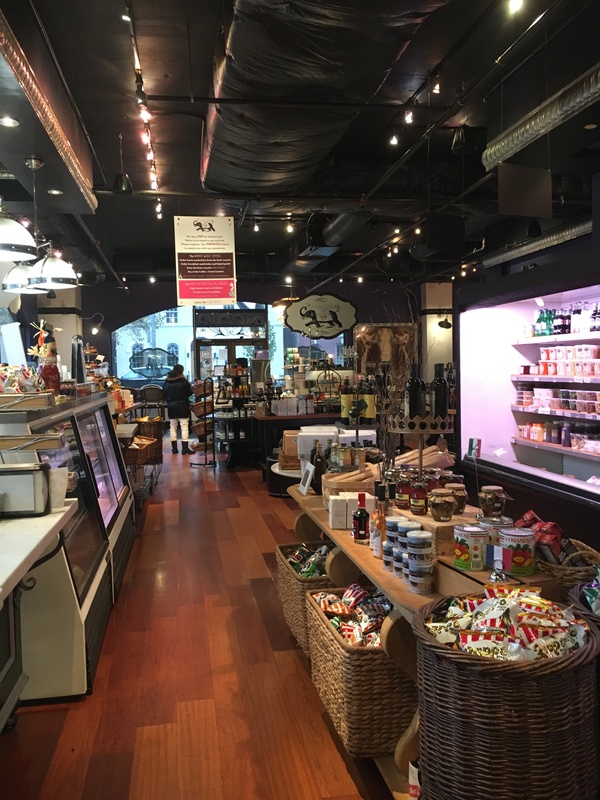 Their charcuterie, pates, sausages, pasta and bread are all house made and available in the market. Their wine inventory is excellent with very good pricing. We will save the Bistro for a dining out article but suffice it to say that the menu is very comprehensive and reasonably priced. Society Fair also offers fresh-made pizza in the Bistro or for pickup. The bakery at the back of the store almost doubles the space up front. Everything in the Market and Bistro is made fresh daily in the bakery. They also make pastries and cakes for their customers and can be special ordered. The bakery starts heating up about 4 am to make the daily bread for Society Fair and their wholesale customers. The next time you are thinking of a place for lunch, dinner or brunch or to pick up a fresh cut of meat and fresh baked bread for dinner at home or need a gourmet side dish, bottle of wine or a pastry or fresh eggs, milk and juices or…and the list goes on….stop in to Society Fair at 277 South Washington Street in Old Town. I will certainly go back!